Having a Digital Marketing Firm working for you and your Small Business is key to customer and profit growth. Brand identity and finding your target market is key, also website design and optimization are a must. Helping consumers know and find your business is our specialty. Geo-targeting and keyword placement will put you on the map. When potential customers ask their mobile phones where to find something they need you will be top of their feed, also top of their mind. Engaging social media grows your Brand and creates consumer consideration. We create urgency for your product or service and lifting your company into top-level view where consumers are looking for just what your small business has to offer. Optimized Website – Do you have a Website for your Business? If so, has it been optimized? Is it visually engaging and user-friendly? Are you using a Digital Marketing Agency to fine tune the web design so that it will rank high, as well as be easy for Customers to find you? Expert Search Engine Optimization (SEO) – Where are you on the Web? Consumers use both their PC’s and Laptops, as well as their Mobile Devices to find Businesses near them. Expert SEO will put you on the top of their list right when they need you, and what you offer. Engaging Daily Social Media Posts – Having all the Social Media Platforms is a start. Unique frequent posts will get and keep potential customers attention. Likes, Shares, and Follows grow with Daily, or twice-a-day, Social Media Posting. Targeted Content Marketing – Engaging and Optimized Blog Posts and Pages lift your Small Business Web Page in rankings across all Search Engines. Share Posts and Pages on Social Media, also helping your Search Rankings grow. Brand Identity Across All Platforms – Be unique at all the places your Business touches Consumers. Your Brand is key. Potential Customers will recognize your name, and your look and feel. Running a successful Small Business takes time. Hiring the right Digital Marketing Agency is key to grow your Business and keep customers thinking about you, and coming back again and again. 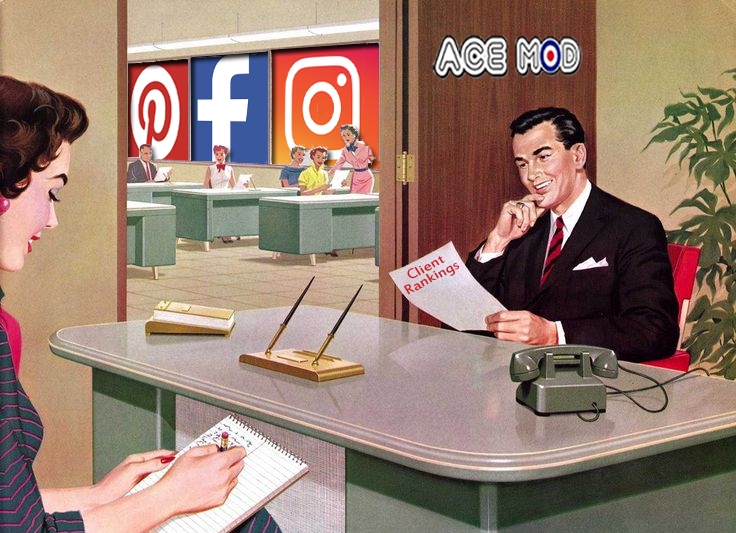 Ace Mod Media are experts in Small Business Digital Marketing. We will help create your Brand Identity, grow your customer base, and lift your Company’s Rankings to the Top. Let the Experts Create and Expand your Digital Presence. You concentrate on giving all those customers your Great Service and Products.